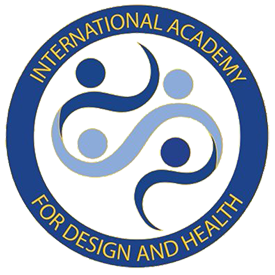 The International Academy for Design and Health is extremely proud to launch its official Fellowship program offering the opportunity for members to be awarded a fellowship with the academy. A fellowship with the Academy is an honour bestowed on the leading practitioners, academics and influencers of Salutogenic Design in recognition of their distinguished and significant contributions in Design and Health through publications, applied research, teaching, projects, leadership of professional organisations and practice. As a fellow you will be internationally recognised as being amongst the true leaders within the field of Design and Health. Fellowships will be awarded to individuals who demonstrate exceptional and outstanding professional practice and/or research in their field and the development of salutogenic built environments and technologies that improve human health, wellbeing and quality of life. Being a fellow offers not only recognition of your leading position within your respective field, it further entitles you to unique privileges such as access to VIP events and educational and teaching opportunities. Fellowships with the Academy are subject to a stringent selection process and merit review. In order to be considered for fellowship with The International Academy for Design and Health, you will be required to submit an application for review by the Review Panel and pay an annual €250 fellowship fee. Step 4: Pay the annual fellowship fee via the “PAY ANNUAL FELLOWSHIP FEE” button on this page. The Academy encourages members who wish to become a fellow with the Academy to apply and it is important to note that there are no deadlines to applications. Each application will be reviewed on individual merit.